Brown Bread. Mrs. Wirick. 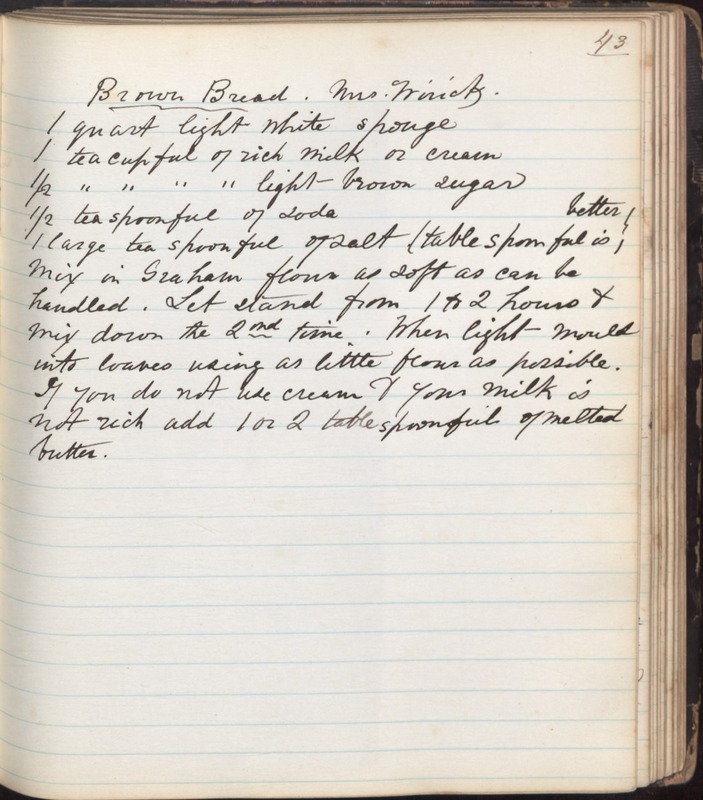 1 quart light white sponge 1 teacupful of rich milk or cream 1/2 " " light-brown sugar 1/2 teaspoonful of soda 1 large tea spoonful of salt (table spoonful is better) Mix in Graham flour as soft as can be handled. Let stand from 1 to 2 hours & mix down the 2nd time. When light mould into loaves using as little flour as possible. If you do not use cream & your milk is not rich add 1 or 2 tablespoonful of melted butter.